First of all, people should say thank you more often whether in business or on a more personal matters. In many business situations, a simple thank you note or letter can help improve your relationship with your clients, suppliers, investors and employees. This is the most overlooked and yet provides the best return on investment tool at your disposal. On a personal level, when you make it a habit of sending thank you notes or letters, you are building a relationship with your clients, co-workers, suppliers, bosses and possible future bosses. It will make your job so much easier because these people will start to think highly of you (it does not matter if they remember the thank you notes you sent them or not). In the case of your job search, it may just give you the edge over other applicants (more on this topic below). 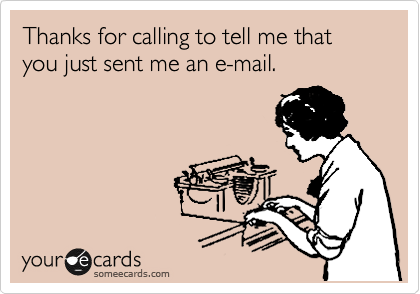 When writing any thank you letter, try not to send a form letter! Follow the guidelines I have given you at Writing Business Letter Essentials and use the correct Business Letter Format. The follow-up thank-you letter is one of the important keys in your job search. Within 24 hours of an interview, write a short letter thanking the interviewer(s). The letter should be typewritten and no longer than one page. The thank you letter will provide the extra edge that gets you a second interview or the job itself by ensuring that you stay in the hiring manager's mind. It will also provide you with the opportunity to add any additional information that was not covered during the interview. I personally send one every time I have an interview. My last job, the person that hired me said it was the first time he had one and that letter was one of the reasons why I had a second interview. If there is more than one interviewer, write to each of them personally. Thank the person for the opportunity to interview. Express your continued enthusiasm about the position and the company. Recap your qualifications and abilities, being careful to relate them to the requirements of the job and the company. Keep this portion under two sentences. Always make sure you are 100% correct in spelling, grammar and facts. Use the spell and grammar checker from your word processor. If you are not very good or need more help, get someone to edit the letter. It's good to know that you have had an interview, I hope it all turns out well. The following is a sample interview thank you letter. When a friend, co-worker, or anyone does you a business favor, the least you could do is write a thank you letter. It is not only polite but it can help build a better relationship between the two of you. Depending on the nature of the favor, you may wish to consider buying the person a gift. If they could take the time to give you advice, leads or information, you should take the time to let them know how you appreciate it and how it turned out. Do this and the favors will continue to come. Don't and they may think twice about doing you another favor. Based on the level of contact and the assistance given, respond in kind. Address the letter to a specific person who has helped you or rendered a particular service or favor. Use his or her formal name and title on the address line. If you are familiar with the person you are writing to, use a more informal greeting ("Dear Adam"). If not, the greeting should reflect the person's formal name ("Dear Mr. Adam Lambert"). State your “thank you” in the first few lines as the primary reason for writing. Be specific in describing why you are thanking the person. In other words, let the reader know you understand and appreciate the efforts he or she put forth. Mention the good results of the reader’s information, advice, or project. What benefits did you or someone else derive? Omit any disastrous results that would detract from the thanks. Saying thank you especially in a physical letter is a very powerful way to establish a good relationship with anyone, be it a customer, supplier, or anyone within your organization. The thing that makes this letter so powerful is that they are unusual and sincere, which will make the writer stand out among similar professionals. The simple act of giving a thank you note also speaks volumes about how the writer would treat other people. One funny thing about many businesses is that they spend so much money and time trying to get new customers and they forget about their loyal customers. It's good to say thank you to your customers and it's cheaper to keep a customer than to acquire a new one. With that, the following are some thank you letter samples for you. Another often overlooked group of people are the actual employees. Here is my advice on How to write a Letter of Appreciation for your staff.